This extremely interesting and captivating story was written by an extraordinary man, traveller and talented photographer Vladimir Alekseev after his courageous journey to Guatemala and Mexico in spring 2014 with an intention to photograph and provide the general public with materials on the three unusual places, inaccessible for people without special permits: San Bartolo (where the oldest Mayan frescoes were found, disproving certain dogmata of historians as to the Pre-Classical Age), Xultún (the so-called Scribe House with a new calendar drawn on the walls and depicting the period after the widely promoted 21 December 2012) in Guatemala, and Calakmul (the frieze and frescoes depicting scenes of ordinary people’s life) in Mexico. This unique story will tell us about many things, especially about the ways and methods used by Archons and their henchmen when they promptly react and endeavour to suppress any attempts to promulgate information on the true past of humanity. Please, don’t judge me strictly for somewhat protracted texts. Before I begin this nearly detective story, I would like to share with you my new vision of the subject of travelling in general and of the overall sense of our life… Then you will grasp the basis of my conclusions and ideas I try to communicate… Comments and questions are most welcome! This story took place in Central America and helped me to realize the vainness and senselessness of my desires. The thing is that before I had been unable to separate my personality from travelling – it was my “lifestyle” and a part of myself. Such notion was so deeply stuck in my consciousness, entangling the Soul in its deceitful and strong roots that I couldn’t even think it might damage my inner development. In order for everyone to understand the meaning of some of my expressions, e.g. the animal nature, subpersonalities, and so on, I will give a little explanation. My personal view of the world originally formed owing to books by Erich von Däniken, Muldashev and other “researchers” of the riddles of our civilization. However, my eyes ultimately opened when I read the books by Anastasia Novykh. This author communicated colossal knowledge through her books. In brief, her books tell that the meaning of life and sojourn of each of us in this world is maturing as of a new Spiritual Personality, and that the nature of every human being is dual. This is a key insight into the sense of our whole life. Two natures simultaneously coexist in each of us: the spiritual nature which seeks reunion with God (it represents everything light and pure inside a human being, e.g. sincere feelings, love, gratitude, candour), and the animal nature which uses all means possible to prevent such reunion, distracts us, rules in our heads (it is the dark side of every human being, any our thoughts, desires, appraisals of ourselves and other people, pride, self-torment, anger, aggression, and so forth). The knowledge of the duality of human nature and the human energy structure were well-known to ancient civilizations, starting from the Harappan Civilization and up to Ancient Egypt of Imhotep times, which is evidenced by numerous signs and artefacts, as well as legends and myths. 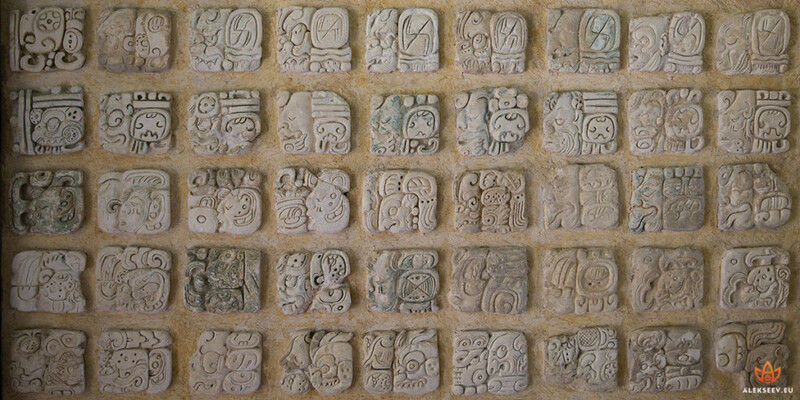 Such crucial information is also contained in the artefacts of Maya Indians and other civilizations of Mesoamerica. Well, very many of my friends and acquaintances (and surely yours, too) dream of travelling, seeing the world, observing how other peoples live, and it is surely wonderful when a person aspires to expand his or her horizons. However, let us first try to give an honest answer (at least to ourselves) and figure out: what are we most often guided by in such aspirations, desires and interests? This is the most widespread answer. In such case we watch TV programs dedicated to different countries, read various travel magazines, enjoy looking at beautiful images on the web and in social media, read reports and opinions of other travellers, and certainly plan to visit certain attractions and natural objects that have imprinted themselves in our mind. Sometimes we even have our own list of travel desires, a list of the countries which we want to visit sooner or later by all means. What are we most often guided by in such case? Most probably, many people will respond in the way I once thought myself: “I want to see everything with my own eyes, familiarize myself with the miracle of nature / architecture / history and the real beauty of our world.” Yet, if we delve deeper, what will we see? We will see that if we possess no inner core we constantly search for a support in the external. Just think of this. In this material world there is nothing more perfect and beautiful than our Soul which is a part of the One who created this entire world with all its charms and phenomena that attract us so much. And we bear this beauty and perfection inside us no matter where we go. Yet, why do we pursue something remote and beautiful when there is always a thing more beautiful, charming and truly everlasting inside us? Simply because the task of the animal nature is to attract our attention to anything else and prevent us from choosing the spiritual vector of development! As a matter of fact, if a person starts feeling inside oneself the Beautiful thing that primordially exists in each of us he or she no longer needs to travel miles and miles away to admire the visible beauty. Such person begins to see the same beauty absolutely everywhere he or she is, and it charms him or her much more because it is inside and not outside. Certainly, this does not mean one should lock oneself up as a monk in one’s dwelling and go nowhere at all. The most important point is to realize the true reasons of one’s passion for travel. Such awareness and understanding is a compass helping us in life. Moreover, should we see a fine image we endeavour to find out where the picture was taken, in which specific place, under which circumstances or conditions, and perhaps even with which camera settings. It is very important for us to have a beautiful picture of a given unusual place taken with our own hand, and if there is an image taken by somebody else, which we don’t possess, we are not satisfied with this, for it is not “ours”, aren’t we? Yet, what if we delve deeper? Isn’t such our desire caused by a hidden intention to “crown” ourselves, figuratively speaking? Don’t we want in fact to be noticed, to have our photographs being admired, and to have our stories and reports being recognized, actively discussed, praised and positively commented? Don’t we want ourselves to be more respected by other people, to be proud of our feats and adventures, to be able to consider ourselves characters of adventure novels? As a matter of fact, the passion for a Crown, for recognition by other people, which is usually hidden from the person oneself and based on pride, self-importance and self-superiority, is the animal nature’s favourite method to control absolutely every human being! Here one should understand a single thing: there is no use to try to prove anything to other people or to expect any appraisals or recognition from them. We should in fact focus only on proving to God that we deserve being called Humans with the capital letter H, while everything else is vain, temporary, unnecessary, and even very dangerous for our Personality. If this is the answer you select, please, tell yourself as honestly as possible: is everything OK in your relationships with the family and all your relatives, in your working team, with neighbours and acquaintances with whom you have to communicate quite often? As for me, I don’t know a single person who would have perfect relations with all people. In such case, why do we want to understand other nations and their culture when we can neither manage our own families, nor understand thoughts and feelings of people who surround us in daily life? Why are we so egoistically blind to people around us, and what is really behind our “noble” aspiration for expanding horizons and discovering foreign cultures? Isn’t this egoism in actual fact? Perhaps, it is difficult to apprehend everything right away. Therefore, I would like to tell you a story of how I came to all these conclusions myself. I truly hope my personal experience will help at least someone get rid of the world of one’s own illusions where all of us reside without suspecting it. Probably, I should start with the fact that I was always very interested in the history of ancient civilizations, in particular the history of the peoples of pre-Columbian Mesoamerica. I travelled to Central America many times and visited numerous archaeological sites and ancient ruins. Yet, once I encountered the new book by Anastasia Novykh (the author I have mentioned above) – AllatRa. In this book, among other things, I found unique information about ancient cultures and, most interestingly, about ancient signs and symbols with relevant analysis and decryption. Having read the entire book in a burst of inspiration and collected the “jigsaw puzzle” in my head, I started avidly purchasing and reading all books dedicated to the Conquista times and containing studies of the life of Maya Indians, Aztecs, Olmecs and other tribes prior to the arrival of the Spaniards, as well as translations of the Popol Vuh (the sacred epos of Maya, their key mythology of creation and structure of the world, a sort of their Bible), biographies and chronicles of Conquista participants and the first Yucatan priests who had ruined the Mayan script and entire cultural heritage. The more I was reading on the subject, the greater urge I felt to unravel the mystery that excited human minds for many centuries. I even started a separate diary where I recorded all the deciphered Maya hieroglyphs, numbers, human and city names, historical facts, calendar dates, etc. An additional urge for me was my own little discovery made owing to Sensei of Shambala – Book IV by Anastasia Novykh. 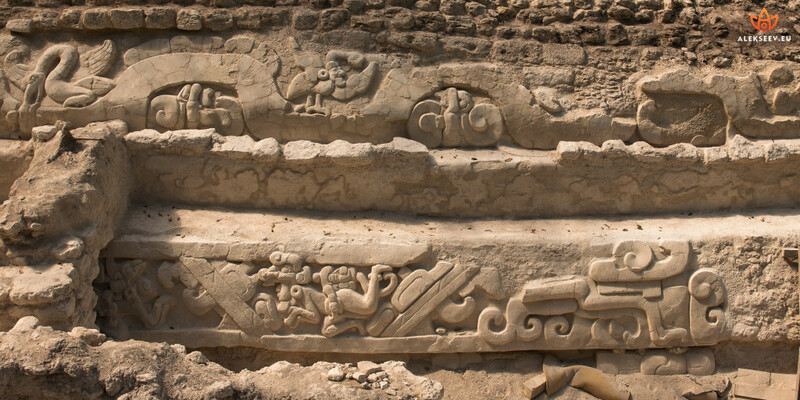 The point is that on all discovered Mayan steles and other monuments that contain dates there is a sort of a mythical initial year from which Maya Indians began their chronology. It is the year 3113 BC. At that, nobody paid attention to such information before, although it is exactly the year when legendary Phaethon was destroyed! This means the Olmecs and Maya maintained their chronology from the year of Phaethon ruin!!! Furthermore, this event is recorded in myths of many peoples of our planet. In order not it cause heated polemics and discussions, I won’t refer to the facts evidencing the existence of a highly development civilization on planet Phaethon, which civilization repeatedly contacted Mesoamerican peoples and transferred certain knowledge to them. Once again, all this may be traced by numerous artefacts discovered, not to mention the enormous number of the most valuable exhibits accumulated in private collections of the US richest families, which already suggests relevant thoughts. By the way, there were cases in history when government officials (e.g. US Consul in Madrid Edward Thomson) purchased territories with ancient ruins (in this particular case it was Chichen Itza), carried out their independent excavations and search on such sites, extracted and took away tons of artefacts, and even ordered workers to move and exchange steles, pillars and whole bas-reliefs. In other words, what they failed to take away they simply destroyed. There are not dozens, but rather hundreds of such stories, and these are totally real historical facts! Such destruction continued for more than 500 years, and the fuss does not abate even today, since more and more frescoes and ceramics with unique signs and scenes are still being found. I had an eye exactly on such new finds inaccessible without a special permit. This is where my story actually begins. The three places awoke my major interest: San Bartolo (with its oldest Mayan frescoes disproving certain dogmata of historians as to the Pre-Classical Age), Xultún (the so-called Scribe House, with a new calendar drawn on the walls and depicting the period after the widely promoted 21 December 2012) in Guatemala, and Calakmul (the frieze and frescoes depicting scenes of ordinary people’s life) in Mexico. In all these places archaeological excavations are still carried out, and it is quite difficult to get a permit for visiting the sites, and for photographing them all the more. However, chance helped as usual. The editorial office of National Geographic in Russia kindly prepared a set of official requests for me, and in the capital of Guatemala I found a man personally acquainted with the Prime Minister on Cultural Heritage of the Guatemala Ministry for Culture and Sports Rose Maria del Carmen Chan Gusman who promised to facilitate prompt obtaining of permits from the National Institute of Anthropology and History of Guatemala (INAH) to visit and photograph the excavation sites. I had to organise a real mini-expedition: take a INAH representative to Petén province from the capital city (he had to accompany me in San Bartolo and Xultún with all permits), hire a helicopter from Flores to San Bartolo and an off-road vehicle from San Bartolo to Xultún, and take care of other formalities. My representative in GuatemalaCarla Molina, President of the Non-Governmental Association of Tourism of Guatemala, helped me to settle all the issues. Everything went on quite smoothly and pointed to no troubles. I had doubts till the last day, but I was given a very good advice: “In order to understand that a vessel is empty you should look inside it.” And I decided to do so – I decided to go! During the first 48 hours I had quite a tiring route: Moscow – Paris – Mexico City – Guatemala City – Flores, and nearly in every city I had to wait for the next flight for 5 to 6 hours. My adventures started already in Mexico City. Although the Mexican capital was only a transit point for me, I had to undergo passport control. The frontier guards who incidentally knew almost no English words noticed something suspicious in my passport, and I was immediately taken to a holding cell for illegal immigrants. They explained nothing and would not allow me to leave the room where I was supposed to be simply sitting and waiting. I was perfectly aware it was necessary to preserve inner harmony and tranquillity in any situation, but 1.5-2 hours of waiting and total obscurity in the gloomy nook provoked a whole storm of indignation in me and a flow of diverse swear words addressed to all Mexicans, which eventually turned into real fury. It took me quite a while to appease my thoughts. I can even say with confidence that only the Lotus meditation, which I performed right there sitting on the bench, helped me return to the state of harmony. Apparently, that was the first little lesson for me, because as soon as I managed to suppress the internal negativism (pacify my Right Aspect and activate my Front Aspect) the situation got settled, and an officer came. Generally speaking, after 30 more minutes I was free to go with the Mexican stamp, although the adventure was not over. Next, I was to get my luggage, and here is where my foreboding came true. Well, it was not really foreboding, but rather a vivid example of the idea that thoughts are material and can be implemented in material reality. While still being in Moscow I thought my luggage would be lost and even asked relevant questions at the check-in counter several times, and I did the same thing when I changed the plane in Paris. As you already understand, my luggage indeed failed to arrive, and the Lost & Found service had no information on its location. At that, my suitcase contained not just clothes and guidebooks, but also cameras and a tripod, which I needed for shooting at San Bartolo already the next day. There was actually everything most important! My hand baggage included only two cameras, lenses, chargers, and that’s all! Nonetheless, since by that moment I had already regained equanimity and observed the situation from the spiritual nature perspective, I took the news totally calmly. When I arrived to Guatemala City, I had several hours in store before the next flight, which I used for visiting the nearest shopping centre (Oakland Mall) where I purchased everything I needed for the first week, including a new tripod and personal hygiene items. As a matter of fact, this was how my first day (or rather two days) passed. Everything that happened brought me to an important conclusion that I remembered very hard: it is always necessary to preserve internal equanimity and by no means to yield to negative emotions, simply ignoring all bad thoughts that may arise. Control of one’s own thoughts and, consequently, emotions guarantees one’s mental and emotional balance as well as spiritual growth. Every day of living for us is a little university. Something happens every day, and nothing is accidental. Even negative events are intended for our good in this university, for they can teach us a lot. What we mainly need to do is to open ourselves and draw right conclusions. 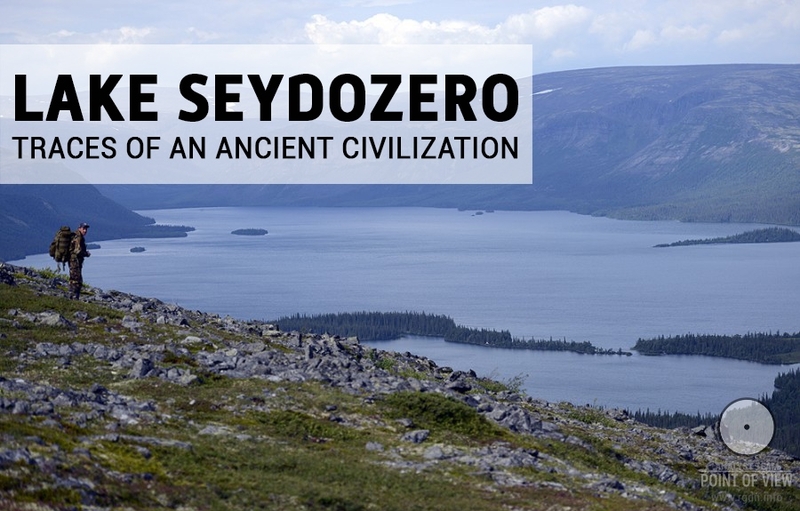 The thing is that the excavations are directed by the US citizen William Saturno. This man made a career on these excavations and, as further events show, obviously considers the discovered objects and items, which are of worldwide cultural value, to be his sole property. 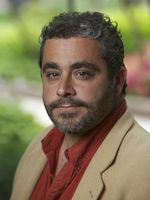 It is also interesting that most of works on the said sites are patronized and funded by certain large corporations, or more exactly by the Committee for Research and Exploration of the National Geographic Society, the Peabody Museum of Archaeology and Ethnology of Harvard University (with its unique collection of the artefacts of Maya Indians and other peoples of pre-Columbian America), the Foundation for the Advancement of Mesoamerican Studies (USA), and others. I have encountered articles and photographs of these excavations from no other sources, but NG and the Archaeological Institute of America (AIA) that in 2013 funded conservation of frescoes from these sites. For general understanding, let us talk a little about the site. San Bartolo is a large complex of ruins with an area of about 5 hectares, located around a 24-metre pyramid. The pyramid was erected and raised at least 6 times. Now it represents a hill overgrown with jungle and thick tropical vegetation, with a small tunnel from one side. 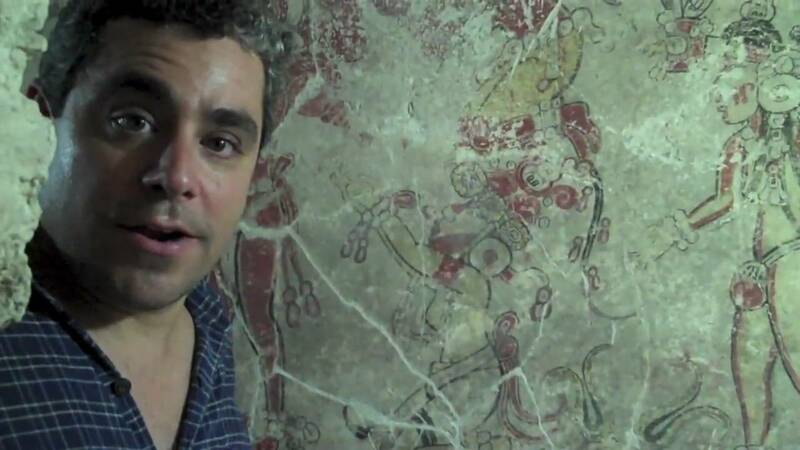 Just 13 years ago, in 2001 William Saturno accidentally discovered a well-preserved fresco (the Maize God face) when he was hiding from the broiling sun in one of tunnels dug by looters. As it turned out later on, the tunnels led to inner premises of the last storey of that very central pyramid. 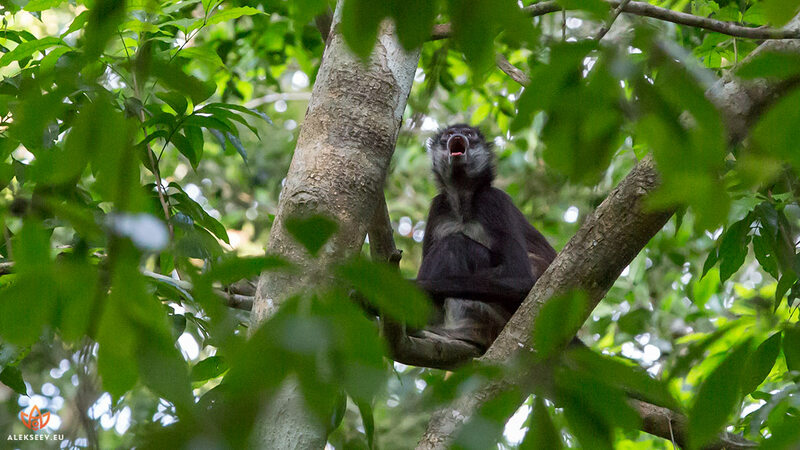 This was the beginning of the story of this unique place situated in northeast Guatemala, in the lowland of Petén province. The frescoes were indeed in a remarkably good condition, given that in the Maya times, circa 2,000 years ago, for unknown reasons they got covered with clay and mud, and later on these premises got filled with stones and earth, i.e. were basically sealed up and closed for many centuries. The frescoes are also incredibly expressive and demonstrate a rich and perfectly preserved palette. 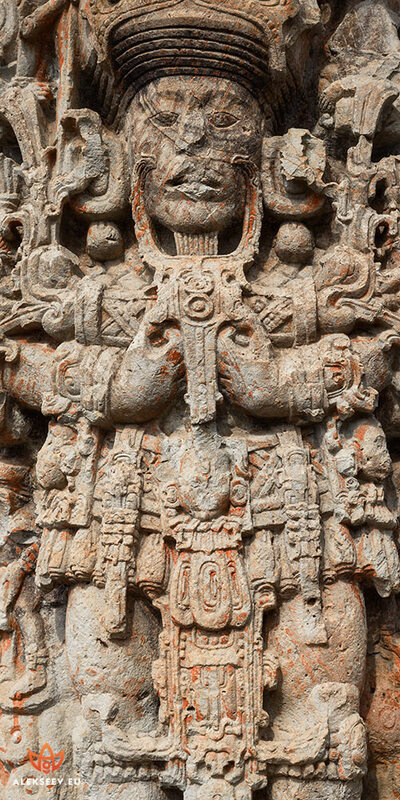 Moreover, they are dated 100 BC, which was in the Mayan pre-classical period. Previously it was considered that Mesoamerican peoples had not created such complex and skilful paintings before 7th century AD. For instance, other most expressive coloured Mayan frescoes from Bonampak (Mexico), discovered in 1946, are dated to 790 AD, i.e. almost 9 centuries after the creation of San Bartolo frescoes! Experts believe that in local climate ancient artists had to do their work very fast and draw only for as long as a newly plastered wall remained damp, otherwise paints and images would not be preserved on the plaster base for a long time. This is even more striking, since the images are indeed executed not only skilfully, but with great talent and elegance. Furthermore, there are plenty inscriptions here, which researchers are unable to decipher because they are composed of unknown hieroglyphs not found anywhere before. The frescoes are on internal walls around the premise (works are still performed here and will continue for many years as archaeologists predict) and depict diverse scenes. By Saturno’s version, these frescoes illustrate ancient Mayan ideas of the universe structure. One of them depicts four sons of the Maize God. The first one is standing in the water and releases fish, establishing the underwater world. The second one is standing on the ground and sacrifices a deer, laying life on the earth. The third one is hovering together with a bird in order to begin life in the sky, whereas the fourth one is standing in the meadow, surrounded with flowers (gods’ food), showing the paradise. As a matter of fact, I have a weighty assumption that in this case we have another interpretation “from one’s mind” of the remains of certain ancient knowledge about the human energy structure, for the images are very symbolic and abound in numerous interesting signs. At that, all this nicely correlates with the information given in my favourite AllatRa book that was a sort of incitement to this study. I believe this is nothing other than depiction of the four human Aspects, and I saw such images and symbols many times before on artefacts of other ancient cultures. 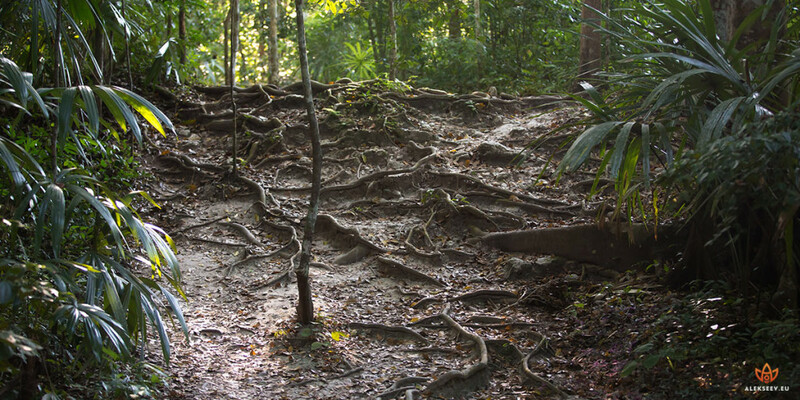 We undertook a quick march across the jungle and arrived at a narrow passage to a hidden underground building, which over the last couple millennia had densely overgrown with bushes and trees enmeshed in lianas. A shape of an ancient pyramid was vaguely discernible under this whole verdure. Not far from the unearthed passage that led inside the pyramid there was an old structure resembling a radar installation. It’s a special device that measures humidity and temperature in the pyramid inner premises. We entered the pyramid. No electricity was surely there, so we had to use a torch to illumine our way. After three to four metres the very first corridor forked to two opposite sides: to the right and to the left. To the right there was only a partially unearthed tunnel and a deadlock that concealed a small plaster stuccowork (mascarone in Spanish), while the tunnel on the left was very long and forked to many other corridors. Following the tunnel straight to its end, one arrives at a blind wall with a manhole that leads to the right, around the entire premise. When we came there, the manhole was not dug out yet. Halfway towards the deadlock we turned to the right from the main corridor, and another tunnel led us to the most interesting objects – the frescoes. Here the corridor forked again, leading to the right and to the left. On both sides at the right, along the wall there were as if little windows looking like ordinary holes in the wall, through which we saw one more corridor where the walls were covered with remarkable and very skilful drawings. The frescoes are so beautiful that you want to scrutinize them for hours, but the conditions for shooting and being here are very hard. First and foremost, when several people are inside the pyramid simultaneously, carbon dioxide concentration in the air increases with a corresponding increase of humidity and temperature in the premises, which is very harmful for the frescoes. Thus, in line with indications of measuring devices, visitors have to go outside from time to time and wait until the microclimate is restored; only thereafter it is possible to enter the tunnels again. It is indeed very stifling and humid in the premises, because there is no air circulation at all. You stay there for just a couple of minutes, get totally wet, and sweat streams down your face and back. Secondly, it is contra-indicated to use photoflashes while shooting ancient images, so you have to take pictures with long exposure and use all available torches and special illumination devices. Well, thirdly, some of the frescoes are drawn nearly along the entire tunnel, and in some places it is impossible to get to them through the holes in the wall between the two corridors even if you use a wide-angle lens. I was strictly forbidden to set the tripod in the tunnel with the frescoes, so I had to invent intricate manoeuvres and positions for the tripod and my body, which would amaze even circus gymnasts. As for my sensations in that place, I had a feeling as if I was touching a little miracle. The miracle is that you as if lift the veil of more than 2,100 years and look at perfectly preserved images created by virtuosic artists, and you have an impression the images were drawn not later than yesterday, while the absolutely dark tunnels and corridors, the wildness of nature outside and the total silence inside only intensify the effect produced by this staggering excavation site. Certainly, the frescoes so skilfully executed in such an object of worship cannot bear only a decorative meaning. 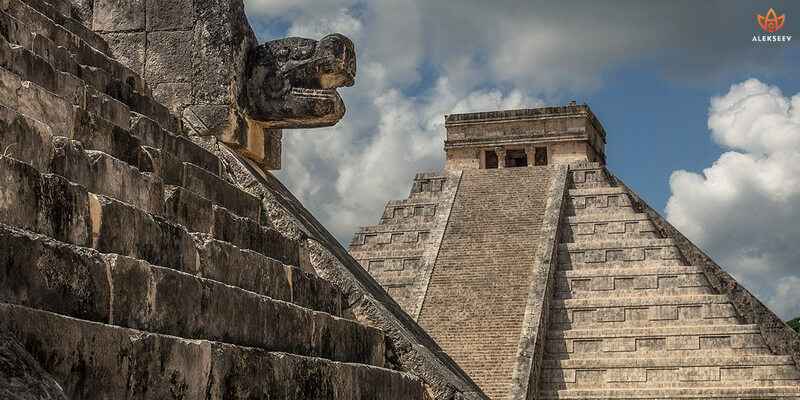 They definitely show us something greater, apparently that what the Maya Indians of the pre-classical period received from their predecessors who possessed pure Knowledge not distorted by time and human minds. Although I would have enjoyed staying in San Bartolo much longer, we had to move further… 1.5-2 hours away from San Bartolo there is another globally famous site – Xultún – with the so-called Scribe House where, according to mass media, records and calculations of an ancient scientist were discovered, evidencing the Maya calendar extension after 21 December 2012 (the globally promoted date of the “end of the world”). We reached the destination point. Various ancient structures were discernible to our eyes on all sides, tumbledown and all covered with dense jungle. Tunnels yawned here and there, laid by looters. In some places we could see masonry and even something that resembled roads which had once been used by inhabitants of the ancient city. Suddenly, a stranger appeared on one of the paths, walking towards us with a camera at the ready. He shook hands with us and introduced himself as Boris, swinging his camera and demonstrating he was not alien here. Taking into account the difficulty of accessing this place, even a more difficult procedure of getting a shooting permit, as well as the news I had regarding the photographers who were to come here on behalf of one of the excavation sponsors, I started foreseeing an uncontrollable course of events. You and I perfectly understand which part of us wants to control what happens – this is surely the animal nature. However, only later on, by the example of that particular situation I realized everything was happening for a reason. Meanwhile, Patricia Castillo, who is the chief archaeologist when William Saturno is absent, arrived in the second off-road vehicle. Boris took her aside, and they talked in whispers for about 15 minutes. I began to suspect problems. Then Patricia took aside the INAH inspector Rafael, and they discussed something in low voices, too. My inner strain increased. Then Rafael took aside Carla who had helped me to arrange everything, and they started exchanging remarks in the distance. At that point I clearly understood problems did arise. “I certainly do! Here are the documents and my NG Journalist ID.” I gave her all the papers prepared in advance. For a certain while I stood dumbfound by such a speech and even did not know what to say in response. “Please, understand us correctly. 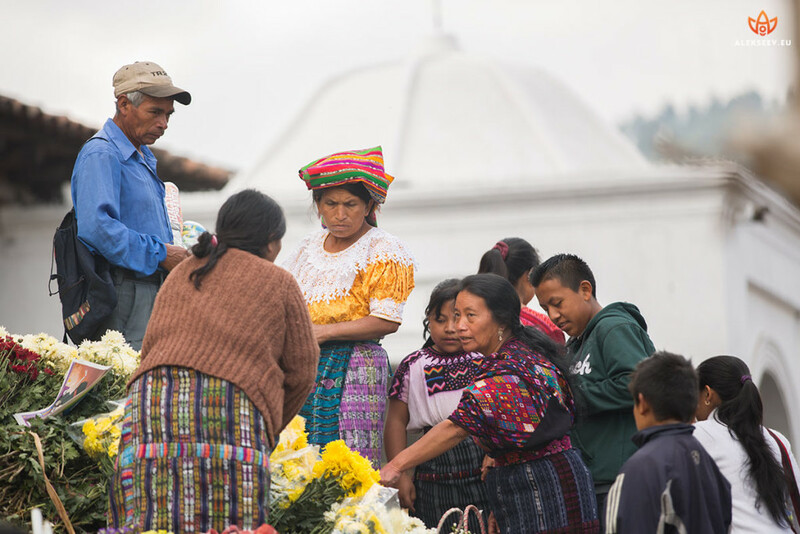 Americans finance the excavations, and we cannot oppose their decision,” Patricia responds. “Let’s wait until the American and Russian offices of NG settle everything between themselves, and then you will come back here if everything’s OK?” Rafael adds. “Vladimir, please, try to understand. You have no options,” Patricia says coldly. “OK, let’s do the following. I will take pictures in your presence just like in San Bartolo, and in your presence will forward my memory card with all images to Rafael as the official representative. He will keep it until we settle the conflict between Mr. Saturno, the American and Russian offices of NG. If the conflict is not settled, Rafael will delete all images and return the empty card to me.” I started inventing alternatives because I was well aware I would be unable to come here for the second time. “No!” Patricia responds simply and briefly. “No! … No!” the madam says again, nervously looking now at me now at her watch and implying it’s time to stop all disputes. We returned to Flores, said goodbye to each other, and on the next day (such a coincidence! 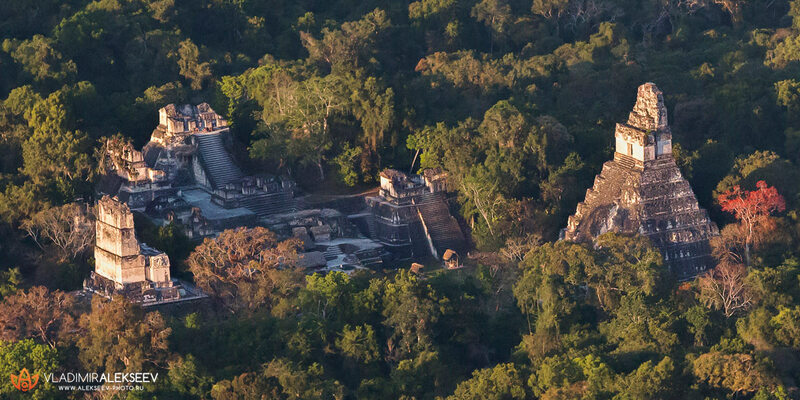 ), with a group of three people (an archaeologist from Guatemala and two Americans) I took a helicopter to El Mirador situated at the border with Mexico, in immediate proximity to Mexican Calakmul. The latter was number three on my list, and I had been trying to get a permit for photographing excavations there for already a month. So, on board of the helicopter the two American tourists started proudly boasting that a couple days before they had been in San Bartolo and Xultún (!!!) without any permits from the government of Guatemala! Furthermore, as I heard, about 4 days before the archaeologist who was with them had had a dinner in Flores with Saturno who proved to be in Guatemala. In response to my fair bewilderment on the matter, Carla later on explained that those people had a certain relation to the excavations sponsors. 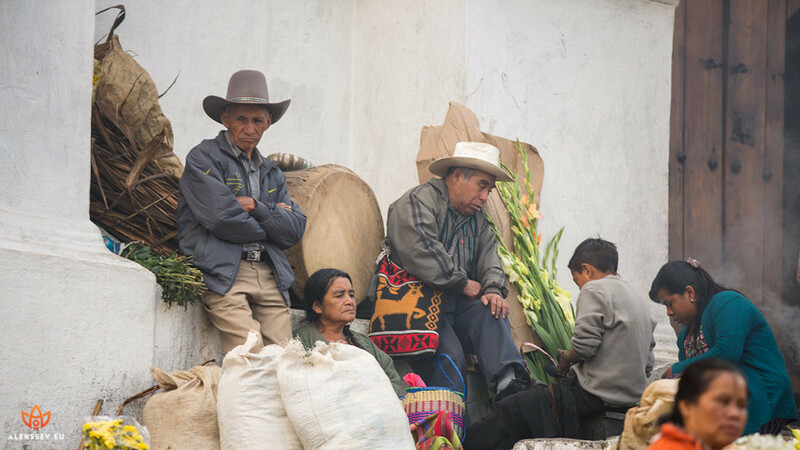 It is very interesting in fact: some people are allowed to visit such places as ordinary tourists with no permits of Guatemalan authorities, whereas other people, even if they have all relevant official papers issued in this country, cannot get there. Moreover, this is decided not by Guatemalan authorities, but at the level of US representatives. This is such a nonsense! Hello! Are you here? You are having really big problems. I need to talk to you. Please, call me as soon as you can. I’ve just had a call from IDAEH director who spoke to Americans, and he says you are indeed an impostor! Is this true? Have you cheated on us all? There is nothing I can help you anymore, if this is so. Call me immediately, for legally you may no more work at any of the archaeological sites where you planned to photograph! And you do have big problems with the government now! The Animal Mind seized me with indignation again. I was furious, and imagination already drew how the archonian millstones would grind me in a godforsaken prison in Guatemala, or how I would be illegally crossing the border between Guatemala and Salvador in order to fly home promptly from another country, better from Panama or Venezuela. Uncontrolled thoughts streamed with ideas of how I would be opening the eyes of the general public to backstage manipulations with the governments of Third World countries once I would abandon this occupied territory. Consciousness started scrupulously considering escape options and endeavouring to seek justice and put “the scoundrels in their place”. 1) Any book by Erich von Däniken (so to say, for general development and understanding that everything takes place for a reason and that there are indeed many oddities in archaeology and history). 2) Sensei of Shambala – Book IV by Anastasia Novykh (you can download it for free on the web via numerous links offered by search engines). 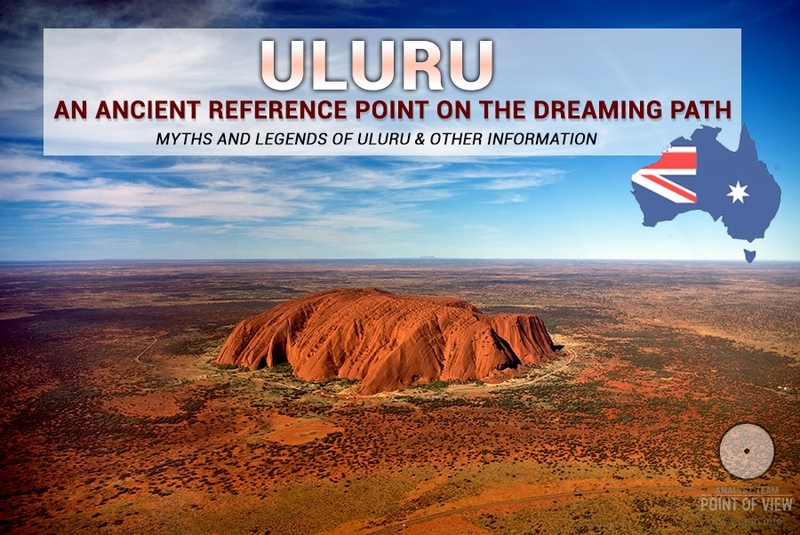 This unique book exposes the genuine history since ancient times up to our days and abounds in unquestionable facts. 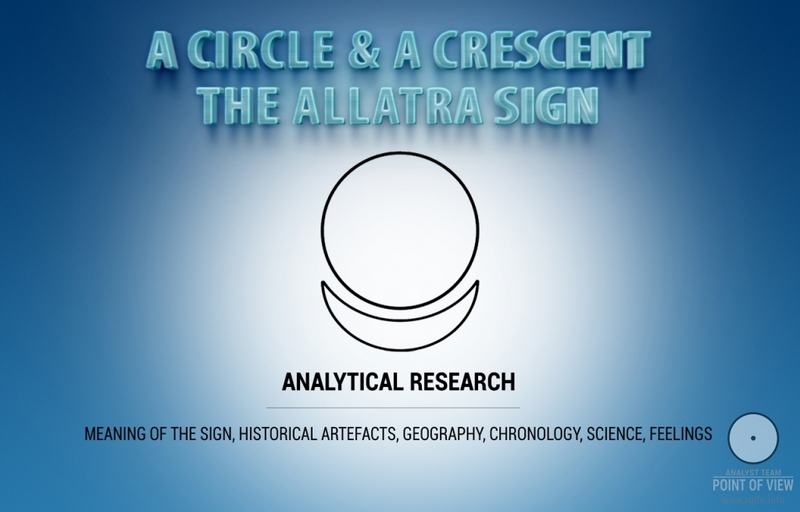 3) The AllatRa book by the same author – a whole encyclopaedia of ancient signs and symbols, with numerous analogies, comparisons and data from several fields of science. It’s a titanic work and a priceless source of Primordial Knowledge that totally changes one’s mental outlook. 4) The True History of the Conquest of New Spainby Bernal Díaz del Castillo (chronicles by the Conquista participant). It is very interesting to look at those events from a participant’s perspective, although the information should be filtered in view of the author’s personal interests. The book is quite rare, but extremely interesting. 5) The Maya: Diego de Landa's Account of the Affairs of Yucatan by Diego de Landa (the very person who ruined Mayan script and initiated inquisition there). The information should also be filtered, though it is given by the participant of those events and such a specific personality. 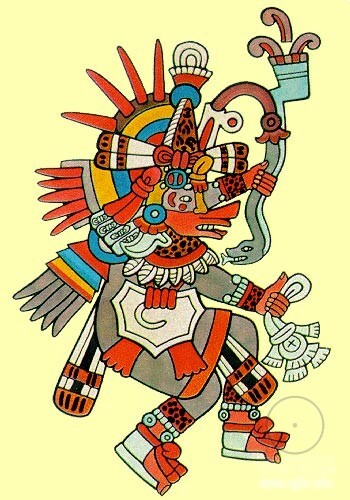 6) The Mystery of Mayan Priests by V. Kuzmischev. 7) The Forgotten Cities of Maya by V.I. Guliayev and Yu.V. Knorozova. At that, we should understand all people are good in their essence, since everyone wants love, good and happiness, regardless of their religion, nationality or predilections. No nation may be blamed for anything. However, there are several miserable percent of people (I don't have the heart to call them human beings) who endeavour to push our society into the abyss. Another thing is who exactly they are and how they do it. If you want, you will be able to investigate the issue on your own. Let’s recall the Harappan sign script which has not been deciphered until today. Researchers find certain similar signs in the Sumerian culture and indicate the Harappan script affinity to the Hittite hireolgyphic alphabet. Furthermore, they have discovered that almost 50 symbols of the Harappan culture resemble symbols of Easter Island! Can you imagine the distance between the southern part of the Pacific Ocean and namely Easter Island, and India along with Pakistan where the Harappan culture emerged?! They are separated by 13 thousand kilometres and millennia of time! 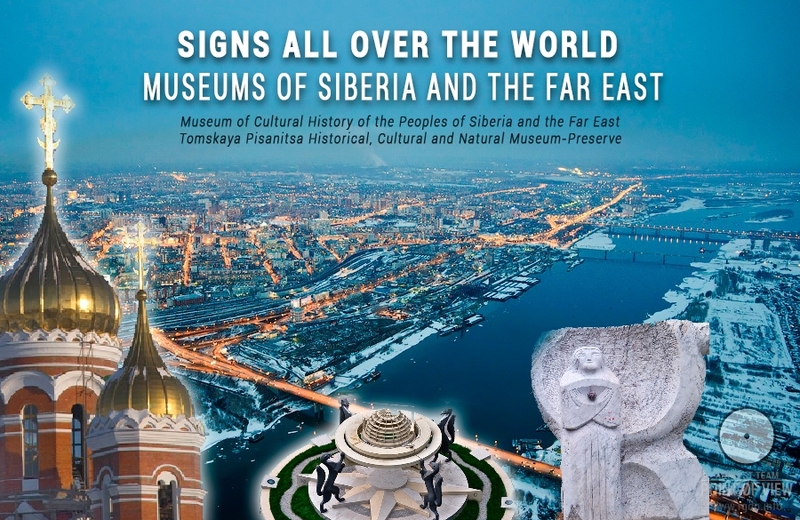 This example only (although there are plenty of such examples) indicates that such signs and symbols were known to humanity in various parts of the globe in different ages, despite the fact that in different ages local peoples attached their own interpretations to them. The importance of some signs is proved by another fact of a sort of “hunt” for them. For example, on Easter Island the knowledge of signs, symbols and application of those in writing has vanished quite recently – in the middle of the 19th century when “Western civilization” stormed into the island, represented by people who arrived on Dutch and Spanish ships. A Catholic missionary who was there told the world about the unusual local script. Local inhabitants drew inscriptions composed of special symbols on wooden boards that used to be kept in nearly every house. However, having disclosed the signs of Easter Island to the Europeans, the said missionary and his followers did their best to ruin the local script as heathen heresy. So, what is now left of this culture which existed rather recently? Several hundreds of huge sculptures scattered all over Easter Island, a couple dozens of wooden boards – the monuments of local script – which have been miraculously preserved, as well as a staff and a breast adornment (kept in different museums of the world). An impression arises that, having found out about these signs and symbols, the world priests did their best to destroy them, even regardless of the fact those were already poor remains of the knowledge. In the early 20th century, a European ethnographer was travelling around South Africa. In the area of DrakensbergMountains (those very mountains where the Bushmen left their rock paintings) he got into a settlement of the Basotho people. He was very surprised that all walls in their conic straw-roofed wattle-and-daub houses were covered with diverse colour ornaments, which owners of the houses thoroughly took care of. That proved to be the Basotho script, where every sign and ornamental element meant something. The ethnographer published information about his discovery in one of specialized journals in order to draw the attention of linguists, but there was silence in response. Nonetheless, when many years later another expert accidentally found this information and a group of researchers went to that area to study the unusual script, it turned out “somebody” had already seriously worked there on eradication of the ornamental script from the consciousness of the Basotho people! Well, everything was simple. Immediately after the publication by that ethnographer, other “experts” arrived to the region of the DrakensbergMountains on short notice. At that time the Basotho people was under the British protectorate, but British authorities did not interfere much in the affairs of this people before that case. Their forced “guardianship” over the African people was related more to diamond mines – kimberlite pipes containing diamonds that had been discovered not far from those places. But as soon as the information related to the signs and the ornamental script of this people appeared, the “interested parties” reacted to it much faster than to the presence of diamonds in the same area of South Africa. The “experts” who arrived there as Catholic missionaries promptly created a new writing system (sisuto) based on Latin for this people, opened schools and started teaching this script along with English, forcible weaning new generations away from the language and script of their ancestors. They stuffed the heads of the locals so much that by the time when linguistic scholars came there it turned out that even 70-years-old people no longer remembered the script of their forefathers, because they had only been taught English and sisuto. Hence, now the locals blindly copy the ornament created by their ancestors without comprehending its true meaning, modify and simplify it, paint houses often for additional earnings on attracting foreign tourists with such a “unique culture of the local people”. They neither understand fundamentals of the spiritual knowledge they were deprived of nor the reasons why today they and their rulers are still controlled by foreigners who cause unemployment, famine, riots, and political coups in the country. Peter the First was initiated as the mason via St. Andrew’s Guild in Scotland, and while joining he undertook to restore this order in Russia. He fulfilled his obligation. The obligation was in writing and was available in the last century in the lodge (it was called Neptune) where he was initiated, and many read that document. There is nothing special I can say about El Mirador. 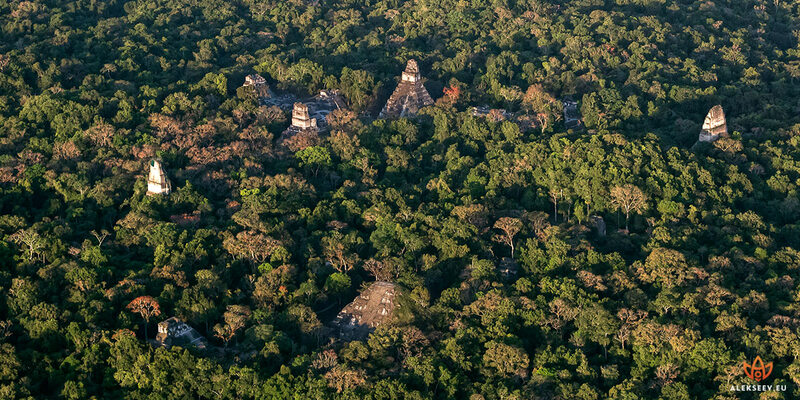 In my opinion, Calakmul is much more interesting, even if you limit yourselves to outer walks (i.e. don’t try to enter the excavation site and premises in the pyramids). Almost all buildings in El Mirador are still covered with jungle, so I personally was interested only in the frieze, perfectly preserved under the ground over the last centuries and very artfully executed. Several days passed… One night I had a bright and strange dream as if I was travelling in extremely beautiful places together with some other people, and we saw truly fantastic things there. Suddenly all those people disappeared. I remained totally alone amidst the incredibly beautiful places, alone on the whole planet, and understood that all the marvellous sceneries around were worthless unless other people were near, that the true value was not external attractions, even the most impressive and staggering, but people around us! As a matter of fact, only people contain other particles of God inside, while everything else is lifeless without people. In the meantime, in several days I had to cross the border between Guatemala and Honduras. I had no idea what would happen next and was not sure I would not be arrested, since Carla’s fear sounded quite earnestly and the accusations in my letter to her were quite big, too. Nonetheless, I decided to rely on God. After all, everything that happens to us takes place for a reason, must make us better and purer, and must bring us closer to the Creator. I reasoned as follows: if they take me to prison or do something else, this will be better for my Soul. We should trust God entirely and accept everything we have with gratitude, including all situations and events, no matter how negative or deterrent they might seem to us. Each day we live represents our own little University, and every event in such day is a little lesson for us. Our main task is to learn to Believe and not to doubt, not to doubt God’s Love, His Care and Wisdom. I crossed the border surprisingly simply and without any incidents. In the next days I crossed the Guatemalan border 2 more times, as well as the border of Salvador, and had no problems anywhere. I won’t describe the places on my way in detail, for there were many: Lanquin caves, Semuc Champey waterfalls, Quiriguá steles, ancient Copán, the Salvadoran Pompeii – Joya de Cerén, idols in Santa Lucia Cotzumalguapa, Antigua, and Chichicastenango. Perhaps, I should tell a little more about the latter. It’s a very interesting town, where more than 90% of the population are direct descendants of Maya Indians. 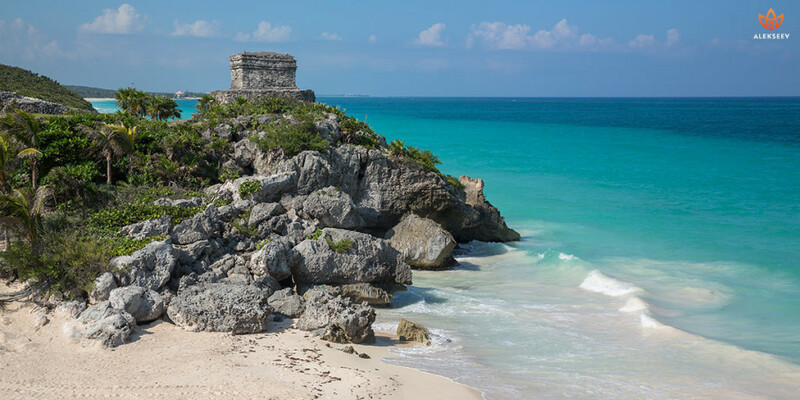 In the local church the famous Popol Vuh is kept (to be more precise, it is certainly a copy of the ancient epos, sacred for the Maya people), and Christian traditions here are closely interwoven with old Mayan customs and traditions. For example, on the days when religions services are performed a sacrificial fire is kindled in front of the church, and parishioners burn their offerings to God. Thus, they simultaneously attend the church and offer sacrifices. 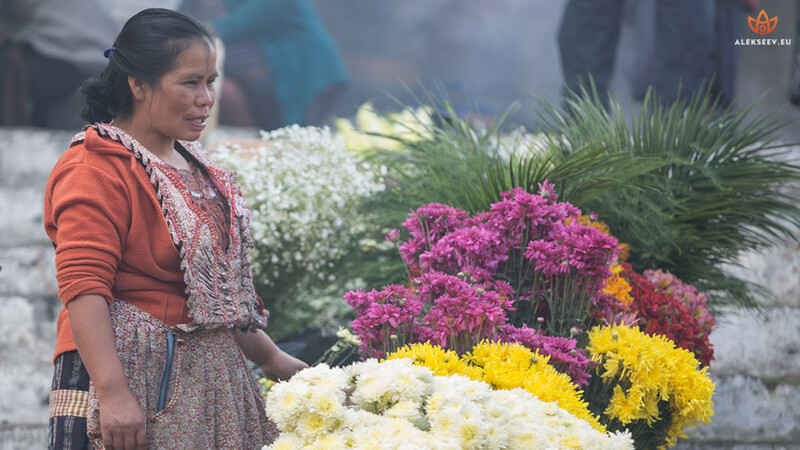 As sacrificial offerings, diverse flowers are sold here. However, there was a special day in that sequence of days when I learned another good lesson. 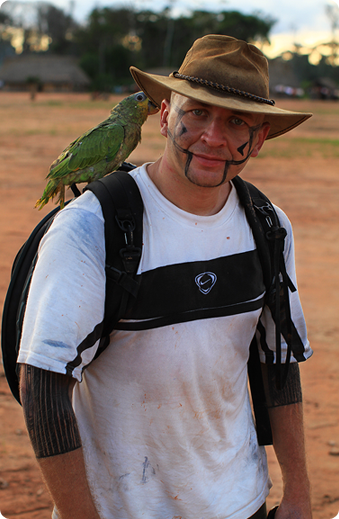 The thing is that for about a week I was travelling around the aforesaid places in an off-road vehicle with a guy from Guatemala who was of semi-English origin. He knew the roads, his vehicle allowed us to cross Honduras and Salvador borders without hindrance, and it cost me not a lot more than renting a regular car. 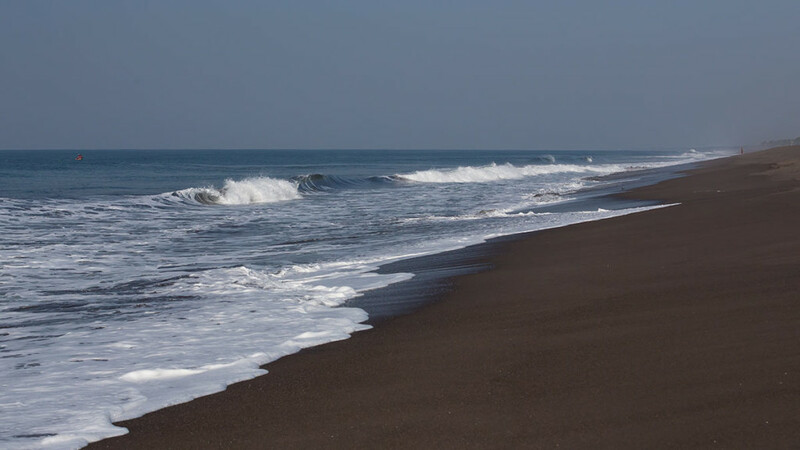 Approximately on the fifth day of our journey we stopped on the Pacific coast in the town of Monterrico, just for one night. But while I was peacefully sleeping in my room, my driver met some hippies and drank (to put it mildly) with them at the beach. By the time we had to leave early in the morning I noticed something strange in him, but could not understand what exactly was wrong. Once we set out, I grasped he was heavily drunk! That’s when one of the longest days in my life began. The driver either turned the music on and sang very loudly, or stopped at every place possible, bought beer and drank while driving, or made excuses to my remarks, but heavily drank again while driving. At first I tolerated all that, saying to myself it’s wrong to judge and censure others, and it’s necessary to preserve tranquillity and self-control in any situation, manifesting love and compassion for people. But when he almost knocked down a little girl who was standing on the roadside and waiting for a bus, ran into a billboard at a filling station, nearly crushed two road workers who hardly had the time to jump back, and when he almost killed ourselves, having fallen asleep, accidentally pushed the gas pedal and thrown our vehicle towards a truck that was going in the opposite direction and carried long and thick reinforcement metal rods, I exactly learned one more lesson. Yes, it is necessary to preserve tranquillity. Yes, it is wrong to judge people, since we don’t know their motives and internal reasons. BUT it is also wrong to tolerate Evil. We should repulse everything negative, evil and bad, preserving the position of non-censure. Unfortunately, on that very day we attended the places where I could not just take my luggage and leave the driver, because I would simply be unable to get anywhere from there. At the same time he would not let me drive. However, once we got to the first populated area, I settled accounts with him and we parted in a friendly way, although the initial plan was to travel for 4 more days. The animal nature surely evoked thoughts not to pay to him for that day at all, since he had exposed our lives to such risks, or at least to pay only a half of the amount. But I imagined just for a second how difficult it was for him to drive 300 to 400 kilometres in such a heavily drunk state, when he definitely wanted to sleep, when his head ached, and his mind was obviously far from being clear. I simply took pity on him humanly. Perhaps, there was no other day as dangerous in my whole life, I can say without any exaggeration. But I learned one more wonderful lesson indeed! It’s the lesson of not tolerating Evil. We must repulse Evil to the extent we can, and not from the animal nature perspective, but from the perspective of a spiritual observer. In other words, Evil in any form must be stopped. We should not resist it with the same spite, but exactly stop it without experiencing any evaluating or censuring emotions – by simply ignoring those. So, having made a tour around Guatemala, Honduras and Salvador, I found myself in Flores again. It was the place where my journey had started not so long before, though by my inner sensations a whole eternity had already passed. It was time for me to visit Tikal, Uaxactun, Yaxha, Seibal, and TecoloteCave, before I went to Mexico. As for the last location, it is unfortunately mentioned nowhere on the Russian-language internet, whereas English and Spanish websites contain just a couple of indirect mentions, although the cave is very interesting. As I understand, tourists don’t visit it at all. The cave itself is not deep, but very comfortable. Inside it I had an impression of something invisibly pleasant and wanted to stay there for as long as possible. Conciliation and tranquillity reign there. The cave has four entrances from different sides, and a fifth smaller entrance. 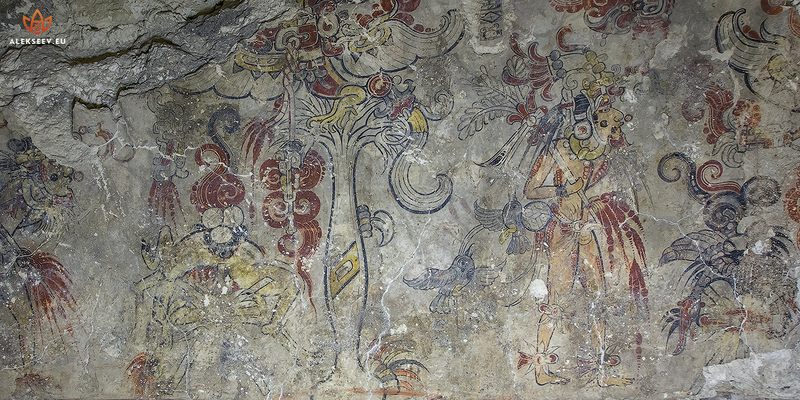 The most interesting attractions inside are wall paintings of Maya Indians (or their predecessors). On one of the walls there is a panel, four to five metres in length and about 1.5 metres in height, with many diverse sings. It presumably depicts the afterlife. 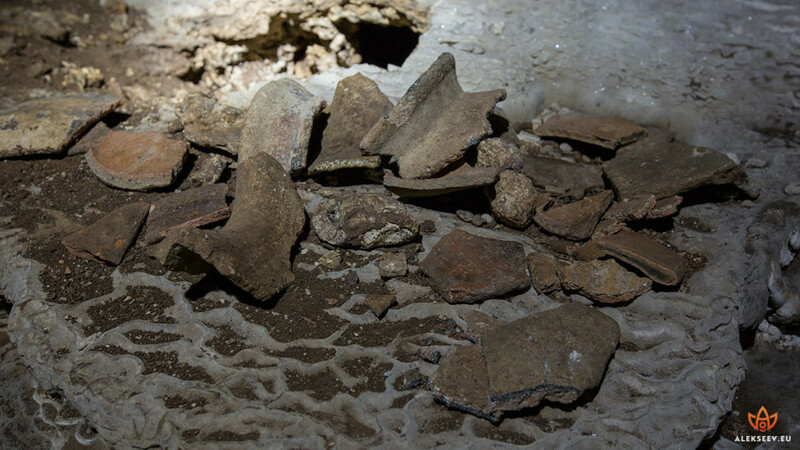 In the other part of the cave, where one can get via a short picturesque arched passage, there were apparently household premises, with plenty of clay crocks and pieces of ceramics scattered on the ground. Some crocks are decorated with patterns and ornaments. TecoloteCave (not described anywhere before) became an excellent completion of the Guatemalan part of my journey, and it was time for me to go to Mexico. However, destiny continued amazing me and prepared one more surprise. Hi, Vladimir, I have excellent news for you!Oscar Mora Gomez from the Institute of Anthropology and History called me today and said the directors of San Bartolo archaeological site had no rights or authority to forbid your shooting in Xultún! 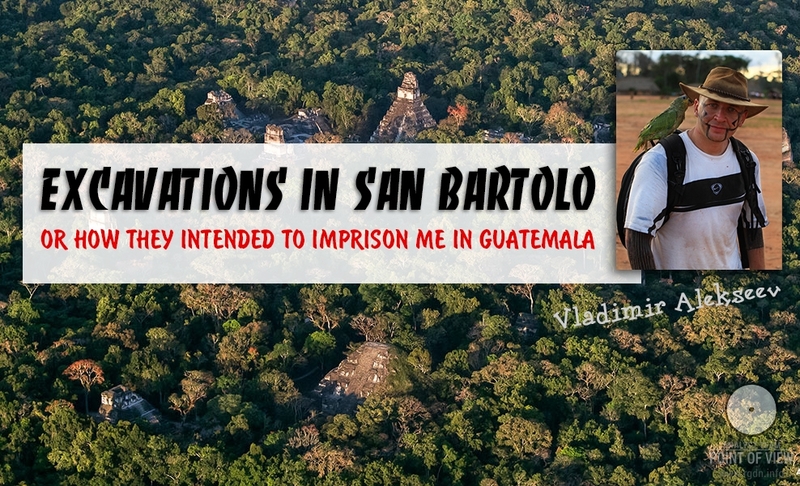 They made a really severe record in the certificate of Patricia Castillo who at that point was in charge of the excavations, and they are outraged at the fact that William Saturno behaves as if San Bartolo and Xultún are his personal property. 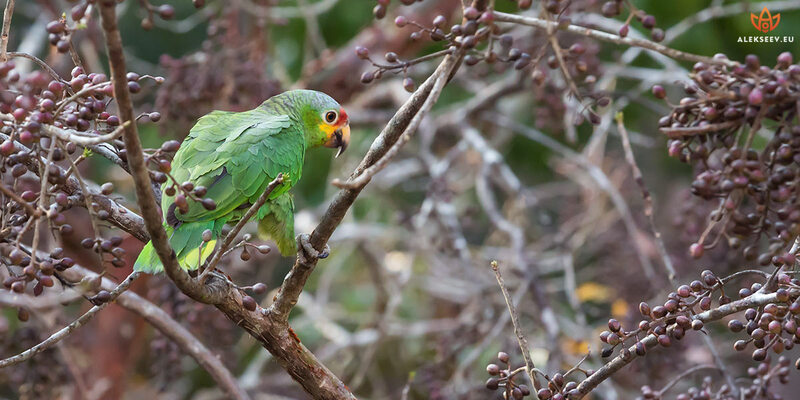 Everything that happened is absolutely unbelievable, but they will issue a new free permit for you to visit and photograph Xultún, and you will be able to stay there for as long as you need. On my part, I will arrange your journey to Xultún at my own expense. For this you need to come to Uaxactun, where I will agree with local inhabitants to host you for a night (there are no hotels there), and the next day Serhio (the driver you already know) will take you to Xultún by the off-road. One-way tour takes about 7 hours across the jungle. The road is nearly absent, just like between San Bartolo and Xultún… (further there are travel details which are not very interesting). After an hour of agonizing reflections I firmly resolved I did not need that anymore! The Scribe House with its unique frescoes and the ancient scientist’s calculations are basically material trifles, despite their tremendous cultural value. They represented a mere sweet candy indented to attract me again. What at first sight I regarded as nectar or honey for bees, with greater attention turned out to be that on which flies enjoy sitting. The Animal Mind system simply did not want to let me go home. It lured me with new opportunities and attracted me to those, endeavouring to distract me from the main thing – the search of myself the genuine inside. Nevertheless, I made my choice and finished packing the luggage, impatiently calculating hours before my arrival to Mexico. Now every hour, every day and every kilometre passed were bringing me closer to home. For the same reason that very night I started thinking of buying a new ticket from Cancún to Moscow for April 8, although I already had a non-recoverable business-class ticket from Caracas for April 21. I also decided to shorten my route around Mexico considerably, having excluded five places which I had also dreamt of long. Only the most interesting attractions remained (and, let me say in advance, new lessons were certainly in store for me). For some reason I had problems on the border again. They held me for about four hours before stamping my passport. 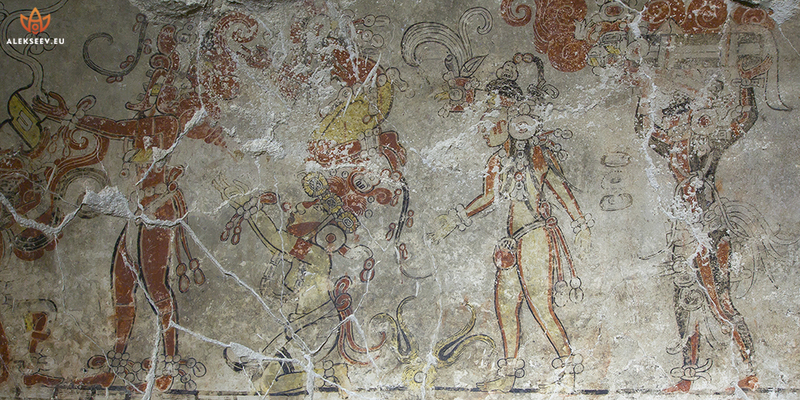 Bonampak frescoes did not gladden me as much as when I had seen them for the first time. The further time flew, the more clearly and consciously I wanted to go home. Hence, I finally forced myself to buy a new ticket to Moscow, despite financial losses on the current ticket. At that, an unforeseen event occurred again. I received an email response which I no longer expected: the National Institute of Anthropology and History of Mexico (INAH), with the approval of the chief archaeologist of Calakmul site Ramon Carascas, issued me a ready permit to photograph frescoes and the frieze in Calakmul – for April 15… So, I faced the much-talked-about choice again. A year before I already visited Calakmul and had only a chance to walk along the tunnel that led to the very heart of one of the largest pyramids in Central America. It is difficult to describe this in words, but when along the centuries-old tunnel you get deeper into the huge ancient pyramid lost in the dense jungle you experience true immersion, a sort of euphoria and inner awe. My imagination surely drew something like Solomon’s mines there inside, but on the previous journey I could not go deeper – without official papers you cannot even hope to get to places so interesting. Moreover, there were two other factors. 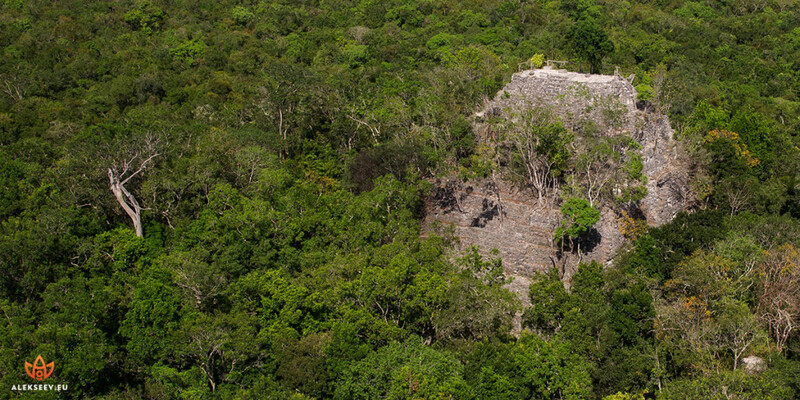 Firstly, Calakmul was right on my way from Palenque to Cancún, and secondly I had profoundly studied photographs and videos from the excavations and discovered unique signs mentioned by Anastasia Novykh in her books. So, this time the choice was much more agonizing for me, since I had only to stay in Mexico for an additional week and fly back not on April 8, but on April 16. I had enough time for everything in such case, would still come home earlier than initially planned, and could spend excess days on the warm and caressing Caribbean Sea. However… Something gave me no rest… I went on thinking, weighing and analysing all the pros and cons, all reasons and arguments from various standpoints. Logic stated there was nothing to think of and I had to agree, for it was such a rare and unique opportunity. It was not just a sweet inviting candy, but a whole chocolate factory. But something inside me resisted, some inner stir would not let me make a positive decision which seemed to be inevitable. In the end I decided to act in the only way possible in all life situations – to do my best to lend an attentive ear to my Soul, to my inner feelings. I imagined both situations and understood that, according to my feelings and contrary to logic, I did not want to spend my time on an illusion. I did not want to waste the precious time granted to us for totally different purposes. Personally I need no evidence to believe in what I already believe, while proving anything to others is a useless thing if people themselves don’t want to see the obvious, and no signs discovered can help a person unless he or she wants to study the issue on one’s own. So, I came to Playa del Carmen to spend the last 3 days. There I gained another unforgettable and interesting experience. The thing is that 8 months before, for the first time ever we managed to get together with a company of 12 relatives and close friends and go to rest in this very place. My mother, my brother and his girlfriend, my aunt with her grandson (my nephew), my cousin with her two kids, and my best friends – there was such a wonderful company and a rare opportunity for us to communicate and to live together for at least a short period of time, very cordial and memorable. After all, in our everyday life at home, in the furious race of modern world we see and communicate with each other at best once in a couple of weeks, or even once in six to twelve months. Furthermore, we were never on vacation together anywhere. Hence, I came to the same place again. I settled in the hotel which almost a year before our big company had been passing by every day on our way to the beach. I bought Mexican coffee in the shop where we had been buying souvenirs together. I went to the beach where all of us had been bathing and tanning, called at the hotel where we had lived and the restaurant where we had eaten. Absolutely everything was just the same as 8 months before. Even goods in the stores were lying on the shelves in the same way as before. Artists in the streets were sitting in the same places and drawing the same paintings. The night was just as dark, and the stars were radiating the same light. It even seemed that the air temperature and humidity were just as the year before. Over the last months absolutely nothing changed there. 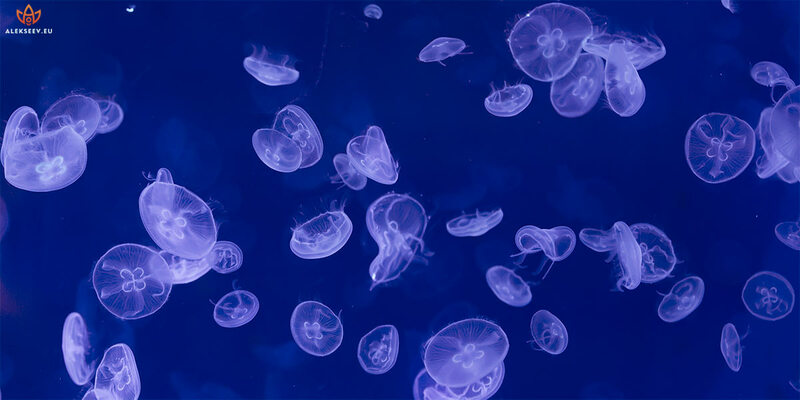 The further I was walking around and observing everything which was identical to what I had seen before, the more my consciousness was gaining a paradoxical state. A sensation arose that I had never left this place, that it’s exactly the time 8 months ago, and my friends and family would now come out of one of the stores, while I was simply waiting for them outside. Yet, at the same time somewhere in the background I realized many things had taken place over these months, and it was impossible to enter the same river twice. It is very difficult to describe such a state. It may be something like you get a second chance to live in the same world, but this time you are already different yourself, and people are different around, and circumstances of your new life are different. Being deeply impressed with such strange sensations, I became clearly aware of an important point. Our nature is such that we don’t value the moments we live in. What today we regard as ordinary often turns out to be important and significant later on. We live our life and don’t cherish its instants. Many of us frequently use the phrase “One should live here and now”, though in actual fact we only say so and persistently continue living by anything, but not the given moment. Against the background of such a drastic imbalance between the two periods in my life, spent in one the same invariable little world of this Mexican town, I realized how important it is to value every second of our life, every look of another person, and his or her every word. Very often we are unable to realize the meaning and importance of a given moment, as well as of people who are near us at such moment. As Mikhail Bulgakov wrote, “a human being is not simply mortal, but suddenly mortal”. Hence, every instant of our life may become the last one. I realized how important it was, to the extent possible, to share Love with other people as particles of the single Whole I belonged to myself, in every second of my life. Irritation, disputes, showdowns, homilies – we simply have no time for all that, and this is not what should prevail in human relations. We should feel Love and Gratitude for every second, every word, every lesson, every look, every sunbeam or raindrop. This should be the essence of our everyday life which is now unfortunately filled with mere routine and hackneyed stereotypes. Suddenly I recalled the dream I had seen in one of the first days of my journey. Do you remember, it was about the disappearance of people? Well, it was exactly about this situation! Everything, absolutely everything is so empty and insignificant when you are alone and not united in love and friendship with other people. I perfectly understood this because I had two different experiences in one and the same place under the same conditions. This is similar to an experiment in physics, when you get evidence of the entire truth. Other people mean everything for us. We must value and take care of each other, help other people by a good word, offer support, positive emotions and concern. At that, if we dislike anyone this means we don’t know the person well enough, for everyone is good by their nature and essence. We can think otherwise only due to imposed stereotypes of thinking and behaviour, appraisals and reactions. As a matter of fact, there are reasons why psychologists say, if we dislike anyone, or if anyone annoys us, it is only because we notice in such person the same features we have ourselves. We should always remember this! When I returned home after the journey I was a totally new person with new understanding of my travel stereotypes and patterns that used to hold me in a sweet shroud of illusion for many years. Via deep inner feelings and not my mind or logic I grasped that the vessel was indeed empty. One does not have to travel the world in order to be truly free. We become free not in the external world, but first and foremost within ourselves, in the field of our views, dependences and desires. If we permanently desire something, if our understanding is limited to stereotypes and patterns imposed by the System, we are nothing but the System’s slaves. After all, even a person imprisoned in a very small cell can be much freer internally than a person who has travelled all over the globe and can afford going anywhere on the planet if he or she wishes.